London, 1986. A newspaper editor is horrifically murdered, his death quickly followed by a series of more brutal, and often bizarre, slayings. The police are baffled, the only clear link between the murders being a single blood red rose left at the scene of every killing. Why? What does the rose mean? What connects the killer to each bloody corpse? Scotland Yard detective Alan Winters leads a hunt for the elusive prey. 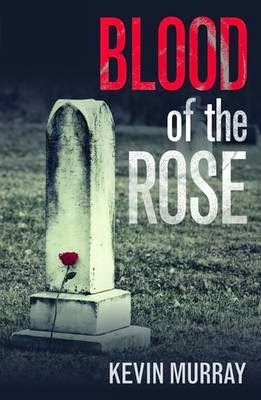 As the body count rises, Jennifer Chapman, renowned investigative journalist and daughter of the murdered newspaper editor, sets out on a personal quest for revenge. Drawn together in their pursuit of a deadly quarry, Winters and Jennifer unwittingly face a fatal surprise, for the killer is closer than they think. As they close in on the truth of the blood red rose, their unseen foe plots a shattering end to his reign of terror, and death awaits them all. This first new police procedural from this very talented new South African author will keep you engrossed until the last exciting page. I really enjoyed the very tight plotting and immensely imaginative story. The richly drawn characters, such as Inspector Alan Winters and his associate Superintendent Van Deventer, I found very fascinating and I hope that they are featured in future books. I understand that the author was a Chief Crime Reporter in Johannesburg's biggest daily newspaper and has personal experience of dozens of violent cases of murder to draw on. Having personal experience from what is considered the crime capital of the world is an invaluable experience for an author. The book, as it was based in 1986 is very atmospheric and well researched and I didn't detect any flaws in his presentation of London during that period. The author brings out the troubled relationship between the police, who just want to get on and investigate the crime and the press who want to provide details to their readers, that may interfere with the enquiry and how the happy balance between these two opposing forces can be agreed. I was enthralled by the suspense and the brutal reality of the story and I do hope that this becomes a series and I look forward to reading books by this author again. I have read books by the only other South African mystery author I'm familiar with, Deon Meyer, but he writes his stories set in his country of residence whereas Kevin Murray is writing about London which is no mean feat for a foreign based author. Strongly recommended.